I have been posting some gorgeous houses in various countries lately and we will be visiting more countries in the next few weeks! I have posts lined up with houses in Italy, Brazil, Sweden, Australia and France. But I realised today that I totally forgot to include my home country The Netherlands in this list. How is this possible?! 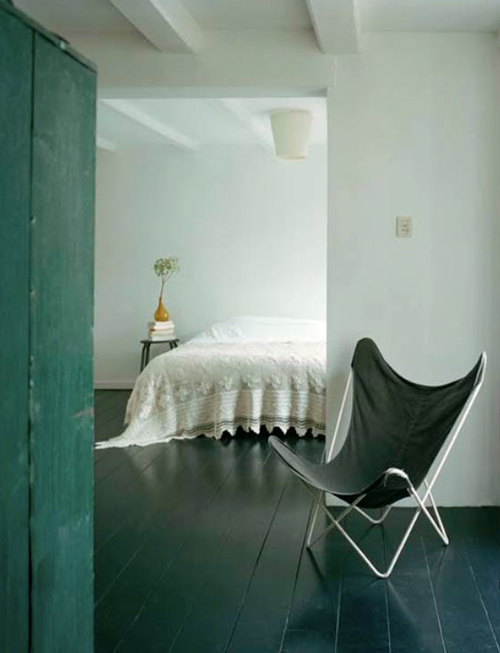 So I have been searching Dutch photographer Hotze Eisma’s portfolio and I found this stunning house in Amsterdam. You may have seen this home before as it has been featured in interior magazines worldwide. But I have not seen some of the images featured here before. 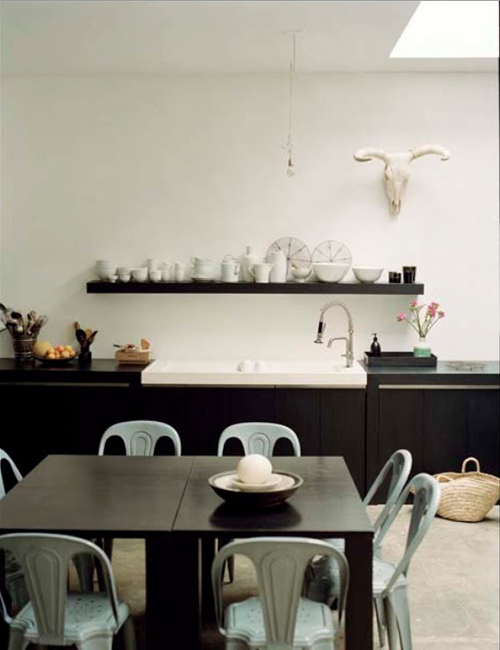 Stylist Anja and her restaurateur husband Alain (from Balthazar’s Keuken in Amsterdam) live with their three sons in this large city home that is in fact two period house knocked into one. Now a neutral colour palette serves as to ideal backdrop to their furnishings, treasures and the kids’ artwork. 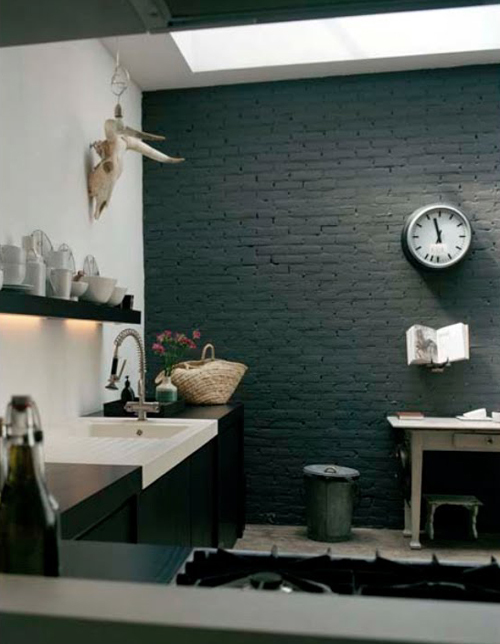 I am normally more into white but I have to admit that I really like this black wall in the kitchen. You can see that the owners have a great sense of style! 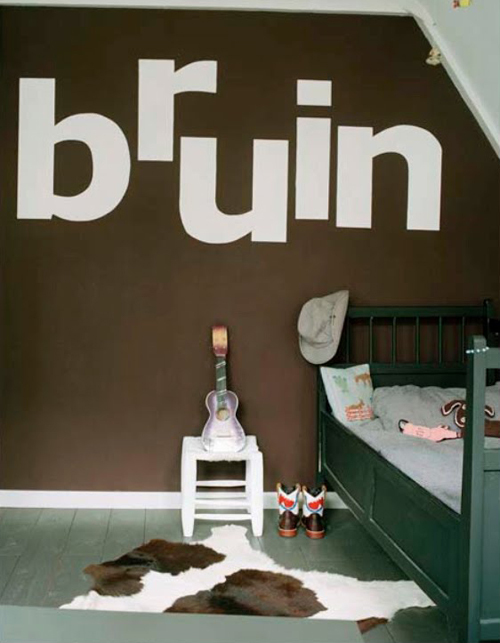 The word ‘bruin’ is painted on the kids bedroom wall – bruin is the Dutch word for brown. 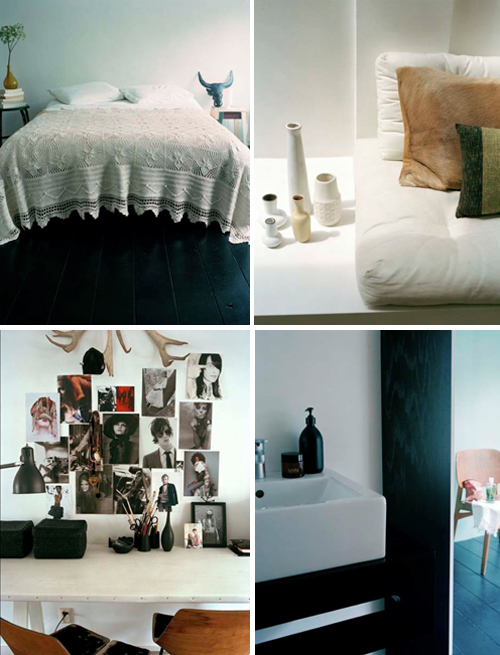 Thank you so much for sharing this beautiful house in Amsterdam! 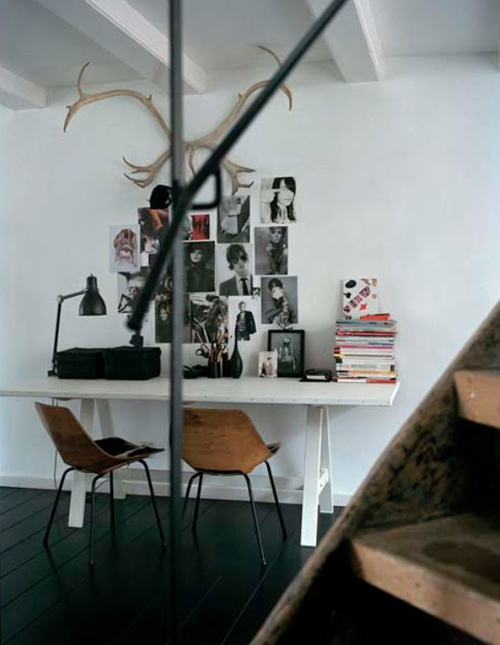 Everything is beautiful, the living room, the kitchen, the childrens bedroom! You gave me a very nice idea for my son’s room! Thank you!! Thanks Greet! I am happy to hear that you enjoyed this post. 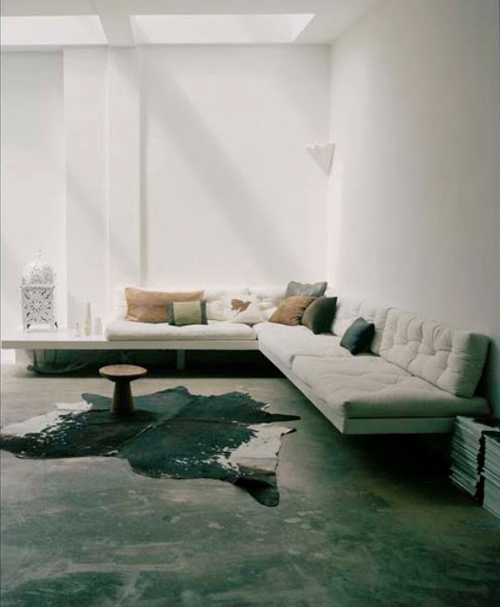 Absolutely love that sofa! Really inspiring thank you! This house definitely has style. Greetings and have a good weekend! This is a gorgeous house! I especially like the kitchen. Stunning.